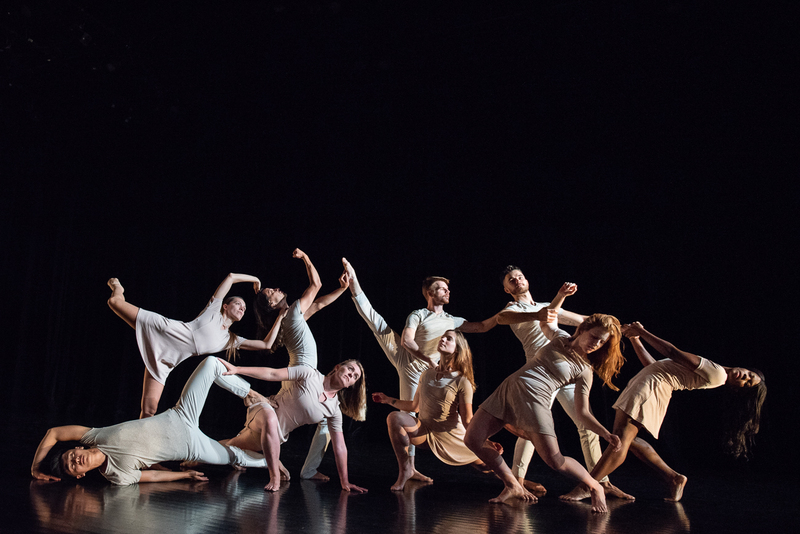 Photos from “Emerge” courtesy of Repertory Dance Theatre. The murmuring of the seated audience fades as the lights dim; the anticipation is heightened as the curtains slide open revealing odd rectangular silhouettes that begin to sway to the beat of a tune. At that moment, you know you’ve left your world and entered another; one where stories are told, not with words, but with music and movement, seemingly for your eyes only. There’s no experience like it. Nowhere else are you able to feel excitement, joy, sadness, hope, understanding, and freedom all at once, except at a night out watching and experiencing live dance at the Rose Wagner Performing Arts Center, located in The Blocks – Salt Lake’s Cultural Core. 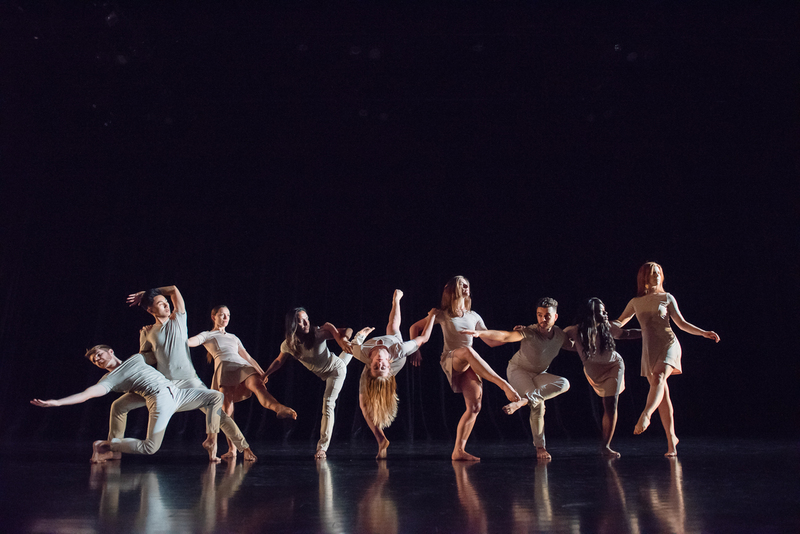 “Emerge,” produced by Salt Lake City based dance company, Repertory Dance Theatre, was no exception. Each piece in “Emerge” was created by RDT company members. This is the third year that RDT has produced a concert showcasing the choreographic talents of its company members. The company usually performs the work of established and well-known choreographers, such as Merce Cunningham, Jose Limon, and Zvi Gotheiner. But according to executive and artistic director, Linda C. Smith, the company also wants to provide an opportunity for the dancers to explore their choreographic voices, which is rare among modern dance companies. Lauren Curley’s “Bare”, took my breath away. The simple and unadorned movement was brilliantly executed. What struck me most was the thoughtfulness with which Curley constructed the dance. Each graceful movement was choreographed with a clear intention. This thoughtfulness was matched by dancer Mont-Eton’s incredible technical ability and attention to detail in his movement. There were moments of complete stillness in the choreography that enhanced not only the story but the strength and skill of the dancer. The choreographer and dancer duo was a match made in heaven. Megan O’Brien utilized storytelling in her piece titled, “much more”. In O’Brien’s self-proclaimed “soliloquy”, she was vulnerable and emotional, aiming to find her artistic voice. I felt like I was peering in to witness both the intimate and public parts of her soul. At times she would be bounding and soaring through the air; then to switch to small and subtle movements of just her hands. Not only could I see what she was experiencing, but I felt her pain, her joy, and her frustrations. Dance is not only entertaining to watch and enjoyable to participate in, but it can also be an emotional journey for the viewer. Through her, I connected to my own emotions. Immediately after O’Brien’s deeply emotional performance, the show took on a lighter note. Dancer Jaclyn Brown, along with her husband Terry Brown, performed “Trifle”, a humorous rendition of the reality of marriage. The choreography was pedestrian, using walking as the main motion. Their movements became more playful as they intersected paths, and told the boy-meets-girl story of this wonderfully talented couple. “Mesmerizing and trance-inducing” is how one audience member described Daniel Higgins’ “MASC”. The piece was hypnotic. Unlike most of the other choreographers, Higgins wrote no explanation of the piece in the program, leaving the intention of the piece to the viewer’s own interpretation. This only increased my curiosity while watching the performance. The choreography was art at its finest: bold and thought-provoking. A highlight of the dance was the seamless partnership of Dan Higgins and Kaya Wosley. The dancing was powerful and the three performers exuded pure confidence and strength throughout the entire piece. Having seen many different dance companies from throughout the United States and Europe, I am no stranger to contemporary dance. But there is something truly special about the dance community in Utah. 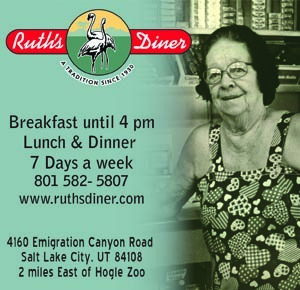 Utah dancers are bold, diverse, and creative yet remain kind and generous people. It is every artist’s dream to create, but it is also every artist’s goal to impact the lives of the audience members, both onstage and offstage. The members of RDT are achieving this goal. 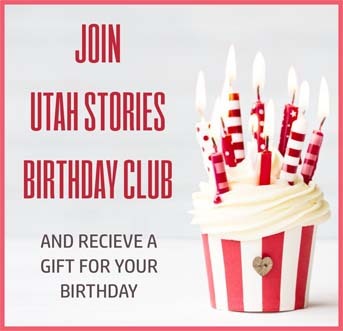 Because of Repertory Dance Theatre, the Rose Wagner Performing Arts Center and their supporters, the Salt Lake community have the opportunity to be challenged, changed and inspired by art. RDT and its dancers are a gift to our community. Elise is a former performer in the Emerge program, a University of Southern California student majoring in Dance, and aspiring writer.